The iconic Diane von Furstenberg wrap dress is not just for daytime, it’s also for fun time or going out time; these beautiful dresses in bold patterns and eclectic bright colours - these dresses for the new season will make a great transition into the cooler months in style. 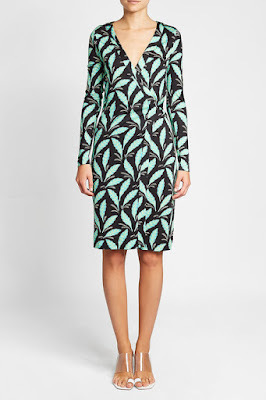 From the pigmented print and the sculpting wrap silhouette to the silk composition and flattering knee-skimming length, there's nothing that isn't chic, contemporary or slick about this black and green dress from Diane von Furstenberg. Styling? Add a structured tote and feminine sandals. Designed to skim and sculpt for the most flattering finish, this electric blue satin gown from Diane von Furstenberg is the ultimate statement for evening impact. 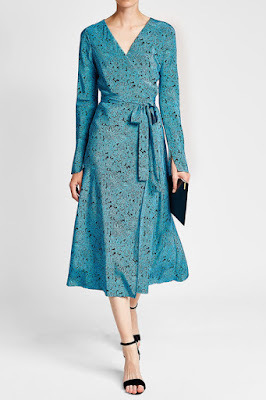 The V-neckline, a belt at the waist and fluid sleeves keep it effortless to move in with graceful volume that elevates every step. 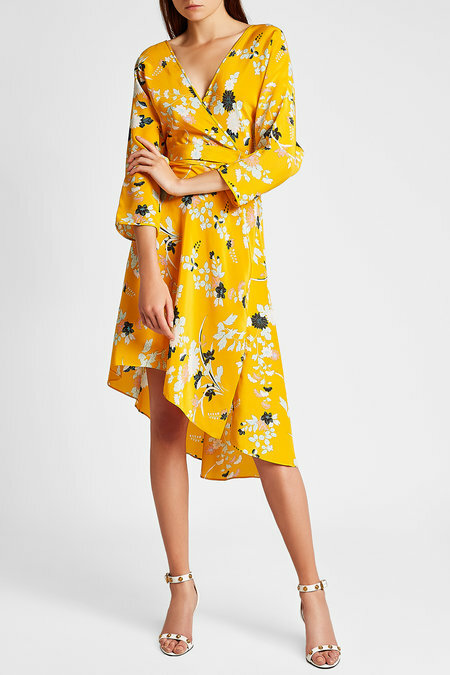 A beautiful investment, this buttercup yellow silk dress from Diane von Furstenberg is printed with blooms for a classically feminine finish. The V-neck and asymmetric hem promise that it's as contemporary as it is classic. 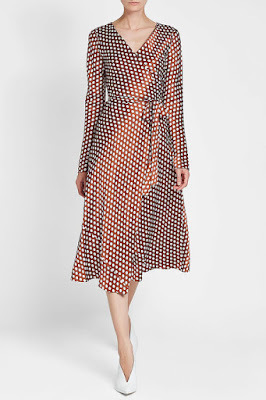 Never underestimate the bold femininity of a Diane von Furstenberg wrap dress. Crafted from silk, this modern style is finished with a fun spot print. The soft brown color adds depth to the body-conscious silhouette. This Diane Von Furstenberg midi dress is striking in printed turquoise silk, cut with impeccable lines as is signature to the queen of the flattering fit. From the nipped-in waist and the V neckline to the long sleeves - this bold piece will accentuate any silhouette.